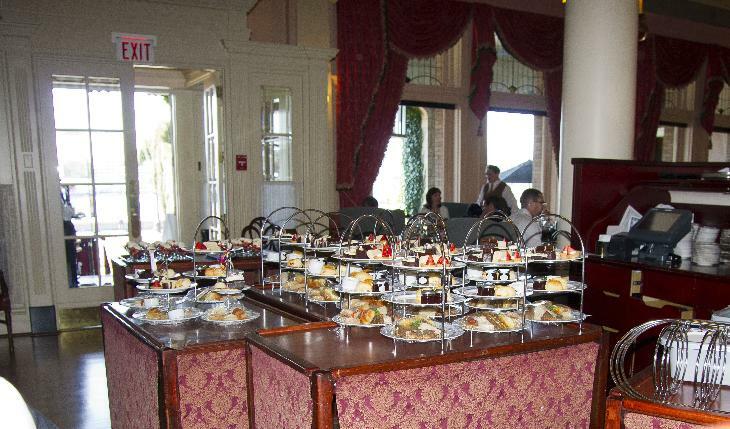 The food staging are for the Afternoon Tea, at the Fairmont Empress Hotel in Victoria British Columbia. The restaurant sitting area for Afternoon Tea. 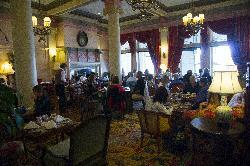 At the Fairmont Empress Hotel in Victoria British Columbia. The top plate at the Afternoon Tea had various desserts on it. At the Fairmont Empress Hotel in Victoria British Columbia. 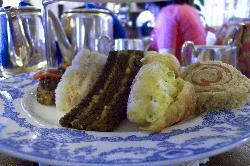 The lower plate at the Afternoon Tea had various small sandwishes on it. At the Fairmont Empress Hotel in Victoria British Columbia. 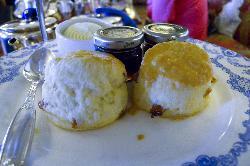 The middle plate at the Afternoon Tea was tea biscuits with jams and butter. At the Fairmont Empress Hotel in Victoria British Columbia. Sign at entrance of the Afternoon Tea at the Fairmont Empress Hotel in Victoria British Columbia. 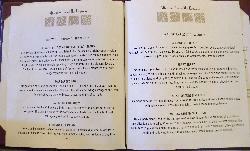 Shows what will be served during the event. 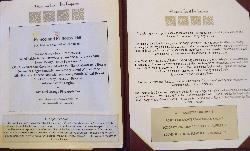 Third page of the menu at the Afternoon Tea at the Fairmont Empress Hotel in Victoria British Columbia. First page of the menu at the Afternoon Tea at the Fairmont Empress Hotel in Victoria British Columbia. 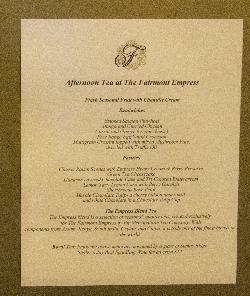 Second page of the menu at the Afternoon Tea at the Fairmont Empress Hotel in Victoria British Columbia.